If you find yourself struggling to get a good shower in the morning, resist the urge to call a plumber and replace your pipes. Instead, you might need to replace your shower head. 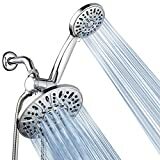 Finding the best high pressure shower head can make even a lackluster shower feel like a spa treatment, but it can be challenging to pick the right one. We’ve tried to take out some of the guesswork by listing our favorites. We also will give you a basic idea of what you should be looking for when you shop. 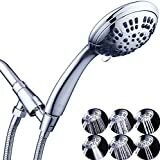 We hope our review of the best high pressure shower heads helps you. Here we have a list of some of the products we think will best suit your needs. This model from SomovWorld doesn’t have any extra settings, which isn’t an automatic deal breaker, but it would have been nice. For the value, we like this product. You can easily remove the pressure regulator. Doing so boosts it up to nearly 8 gpm. The shower head is six inches wide, in comparison to the Aqua listed above. 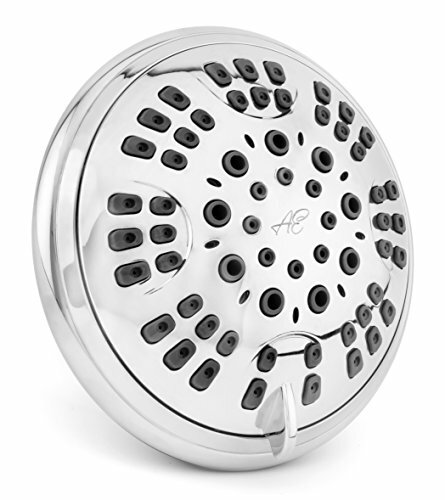 This shower head is specially designed for low flow systems and can deliver six different types of shower spray. It’s made of plastic, so it’s a little cheaper than other items on this list, but we think it might be a possible solution. 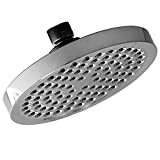 Best of all, this shower head has an anti-clog coating on the inside of the nozzle holes, which reduces the likelihood of hard water deposits forming. Here is a slightly larger model than SomovWorld’s model. At seven inches across, this shower head gives you a decent amount of surface area. When you buy this accessory, you get two shower heads in one, controlled by a diverter switch. It has a standard wall mount as well as a detachable handheld unit that offers the same pressure. You also get six settings, similar to the Aqua Elegante. The G-Promise is a relatively unknown product, but it has one feature that makes it stand out from the competition. While a stainless steel hose is a given part of handheld assemblies, this one is extra long. It extends up to 75 inches. This makes it easy to do things like wash your pets or small children. Like many other shower heads, it has a six-setting selection. One setting that differs from those commonly offered is the circular massage. This setting causes the water spray to oscillate. It combines with other settings as well. 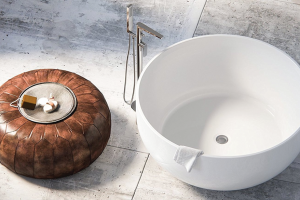 This unusual-looking shower head is an extra large model that can be used to cover a 12-inch square area. It has a flexible mounting space so that you can fit it on either your wall or your ceiling. Its thin profile means it is light-weight. The head includes 144 nozzles that spray a steady stream of rainfall-like water. The entire assembly fits onto a ball socket, giving it full maneuverability on all axes of movement. Unfortunately, it only has one setting. Here’s a more in-depth look at each of the product we found. The shower from SomovWorld doesn’t have versatile settings. However, it does support attachments like an S-arm and a removable nozzle that make it easy to use for just about anyone. 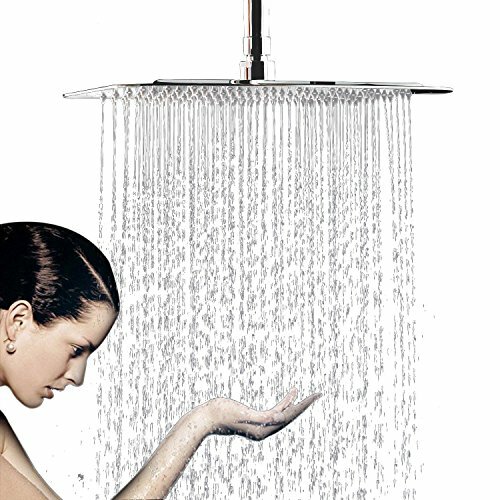 The actual function of the shower is a gentle rainfall-like action. It still puts out enough water to heat up quickly. The shower head is six inches wide, which might make it too large for some showers. For these, you may have to buy the extra peripherals. That being said, the output is consistently high-quality. The shower head mounts onto the wall by screwing into your existing pipe, with the aid of Teflon tape which is included in the packaging. We like that even peripherals seem to be complementary. There have been some problems with the face coming off the main assembly, but these do not happen often. Others have reported difficulty of getting the shower head to attach to a pipe. This plastic shower head fits on a wall and is easy to install on most showers because it just screws into place. As we mentioned above, the showerhead offers six different spray patterns which we like because of its versatility. You get the basic power spray, a massage mode, a gentle rain, a special water saving setting, and two extra modes that combine the others. To switch between them, rotate the handle on the side. 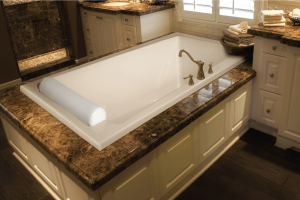 The Aqua Elegante model is made of plastic, and the joints are made of brass with a chrome finish. You can get the plastic in four different colors. We did hear, though, that this shower head can occasionally leak if tightened too much or if misaligned. The shower head is four inches wide, which might be too small for some people. The AquaDance caught our attention because it presents as multifunctional. The transition between the overhead and handheld nozzles is a welcome one. Also, the multiple settings exist on both shower heads: on some models with a handheld spray, you only get one setting for spray. Not the case here. The six settings you have available include a basic rainshower, a fine mist, a massage, a water-saving pause mode, a pulsating massage, and a stronger mist mode. The AquaDance is made of chrome and stainless steel, so you can expect high quality and durability. The hose for the handheld nozzle extends five feet, which should be plenty of room to maneuver. The G-Promise delivers on its promise to provide you with the most comfortable shower possible. With its extendable hose, you can reach anywhere you need to quickly. The different massage settings, in our opinion, make it even better. The circular massage can be especially delightful. 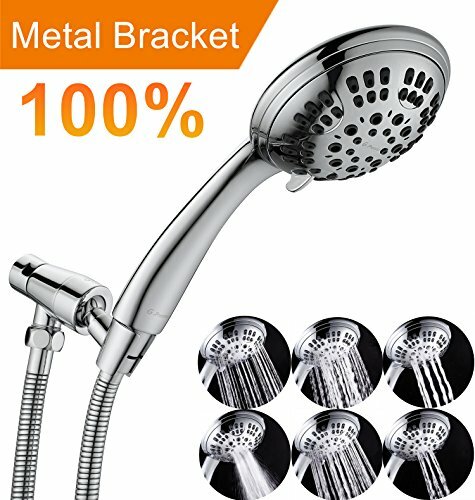 This shower head has an extremely secure ball socket joint that fits tightly in the connector, so you don’t likely to worry about leaking. The whole assembly is made of brass with a chrome finish. The package includes easy-to-follow instructions, so you don’t have to call in a professional to install your new shower head. This is by far the largest shower head we’ve seen. Although you can mount it on either the wall or the ceiling, the large size likely means it won’t fit on a wall mount comfortably, unless you can somehow extend it from the wall. It offers a strong, steady stream through anti-clog nozzles. The large area means you can position it directly overhead and stand under it, getting the sensation of a rain shower. It does not have multiple settings, which puts it a little below the rest in our book. Even if you don’t agree with our recommendations, we can tell you the characteristics of an effective high pressure shower head. First, you need to know whether your shower head mounts on the wall or the ceiling. While one might be better than another in given circumstances, you have to go with what your shower system already has in place unless you feel like doing some expensive plumbing. We’re guessing that’s a no. We’ve looked at a mix of wall and ceiling-mounted shower heads. High pressure shower heads are made of chrome, steel, or plastic. Each has its benefits. For example, chrome is less likely to rust; the same goes for steel, but steel is more expensive and more durable. Of course, you should dry excess moisture off the shower head to prevent rust. Plastic doesn’t rust either, but it looks cheap, and it can stain over time. A plastic shower head, however, is pretty lightweight. It makes the head easy to adjust. If you aren’t concerned about the appearance of your shower, then you can use plastic. Otherwise, we’d recommend chrome or steel. 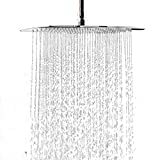 The size of the shower head influences how it performs. 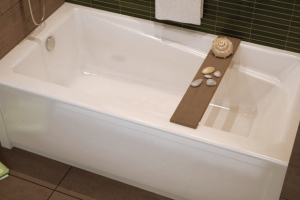 Not only do you have to consider whether it will fit in your shower and be able to move easily, but you also have to think about how it will affect the rate at which the water flows. The more area through which a given amount of water can flow, the less pressure it has. The best high pressure shower heads have a relatively small radius, even if they have other functions that make up for it. For example, a wide spray can make it feel like you’re standing in a gentle rain rather than a concentrated stream. A high pressure shower head needs to be easy to reach for everyone. After all, people are different heights, and if the shower head is too high or doesn’t have an extendable arm to help, it does little good. If a removable nozzle is present or attachable, this makes the shower head even better. Also, for people with severe mobility issues, it can provide a level of independence that would be otherwise absent. Before about 1992, you could expend about 8 gallons per minute in the shower. The environmentalism of the 1990s led to water conservation measures being put into place; for our purposes, this measure included a pressure regulator being placed into shower heads that limited their throughput to 2.5 gallons per minute maximum. If you have a genuinely low-pressure system, you can remove the cap.The law only dictates the maximum pressure for selling shower heads. Once you buy and install it, you can remove the regulator. This will increase your water bill. A high pressure shower head might feel great sometimes, but what if you want something a little more relaxing? 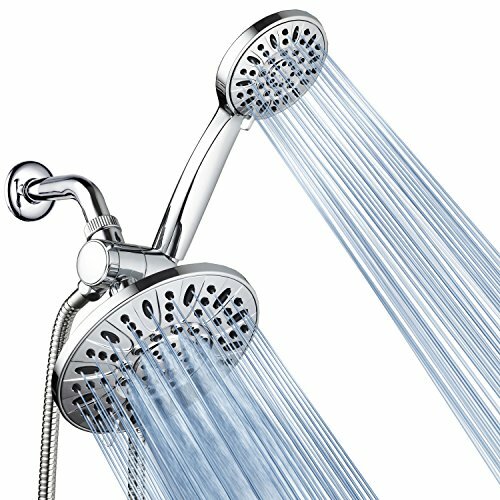 It’s a good idea to look for a shower head that lets you have multiple settings for water spray pattern, frequency, and other aspects. For example, some shower heads let you switch to a massage-like pulsing stream, a rotating stream, or some other type. Aeration occurs when you introduce air into streams of water coming from the shower. This is done in low pressure systems to make it seem like you’re getting a steadier flow or actually to increase the pressure. High pressure shower heads typically don’t have this feature, because they don’t need it. If you have children or older adults in your house, it might be a good idea to have a shower head with anti-scalding measures or sensors. Children have thin skin and are more susceptible to severe burns. 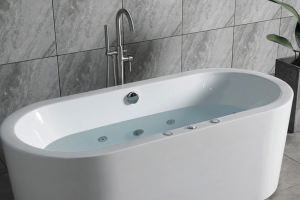 Recoiling from the hot water can cause someone to fall, which is a severe danger for the elderly. 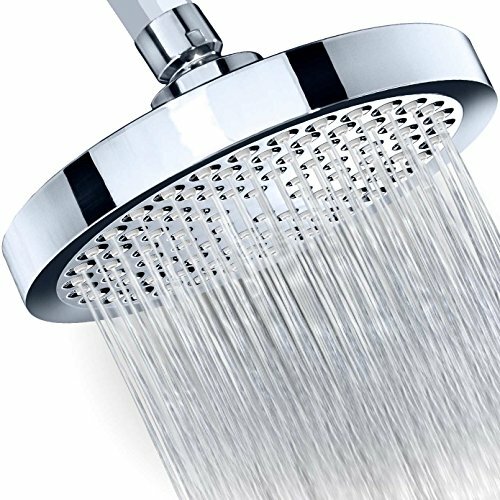 Our final analysis leads us to nominate the SomovWorld offering as the best high pressure shower head. 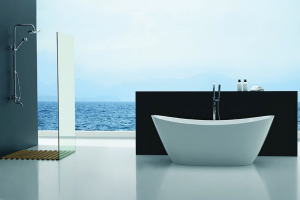 It provides versatile shower options and is flexible enough to reach anywhere necessary. It presented the fewest drawbacks. Although a few customers complained of leaks, these complaints were in the extreme minority. We hope our review of the best high pressure shower heads has pointed you in the right direction.